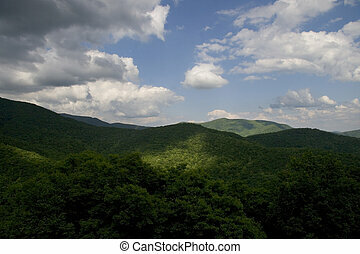 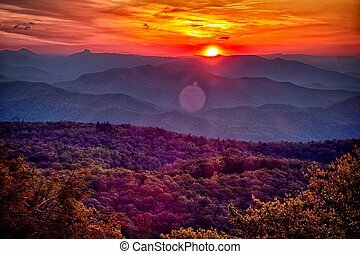 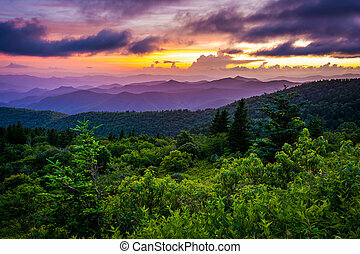 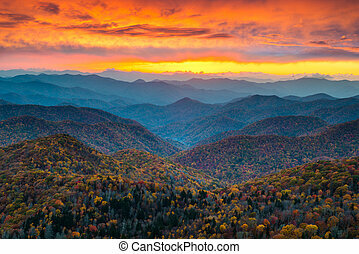 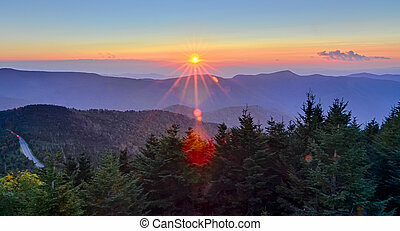 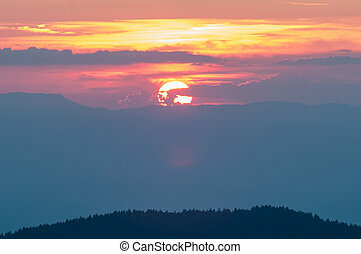 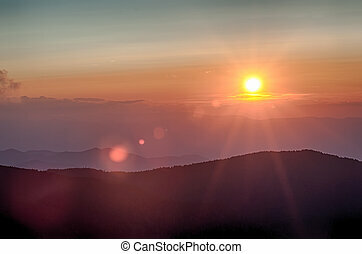 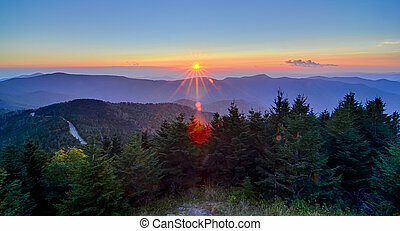 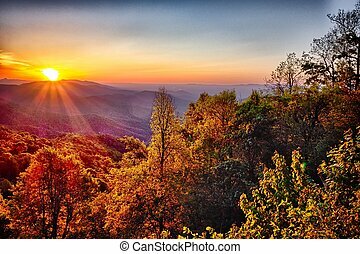 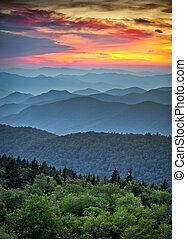 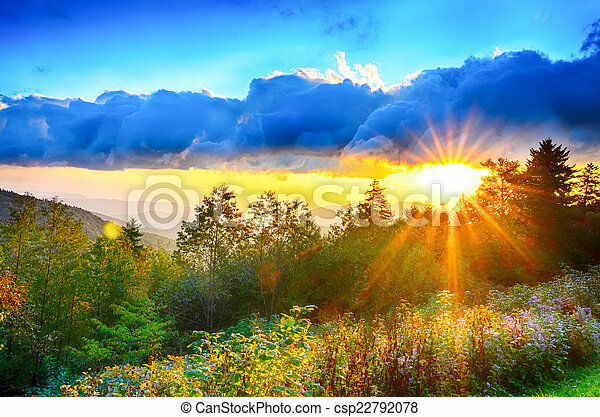 Blue ridge parkway late summer appalachian mountains sunset western nc scenic landscape vacation destination. 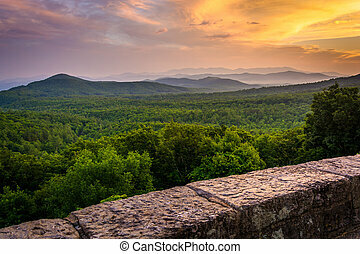 A summer scenic on the Blue Ridge Parkway. 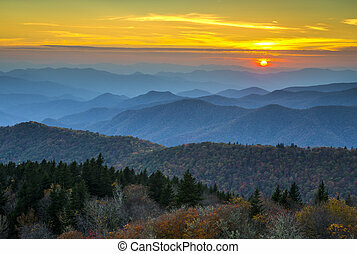 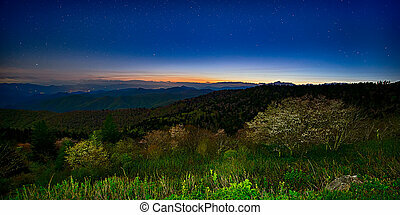 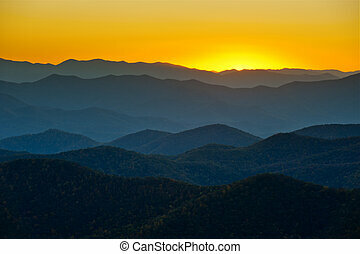 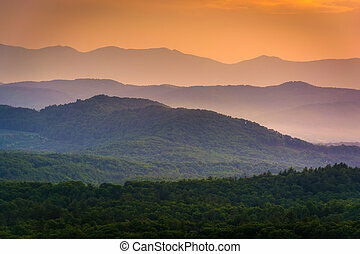 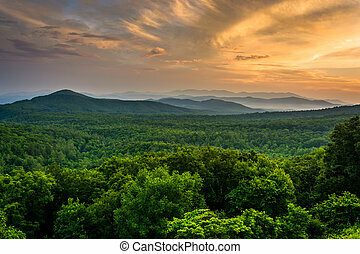 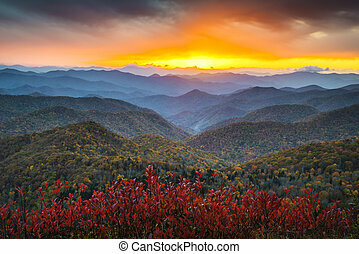 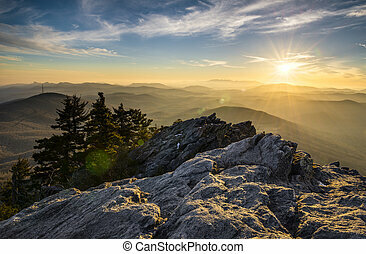 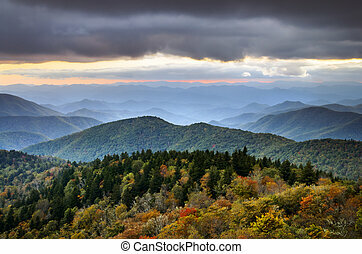 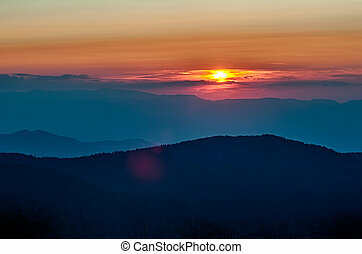 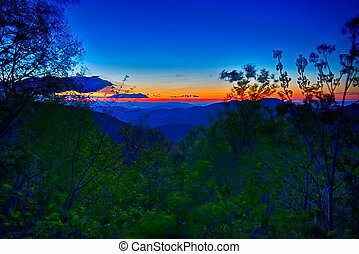 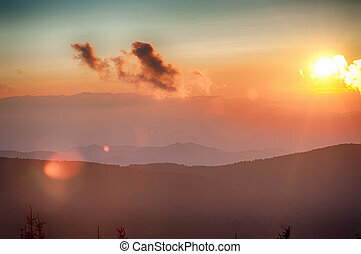 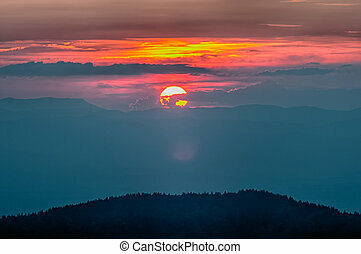 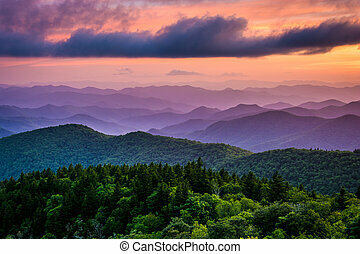 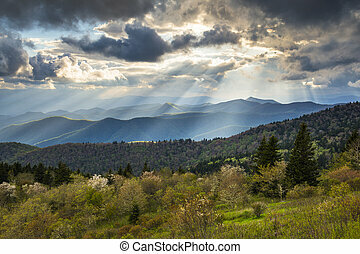 The Appalachian Mountains at sunset, seen from the Blue Ridge Parkway in North Carolina.